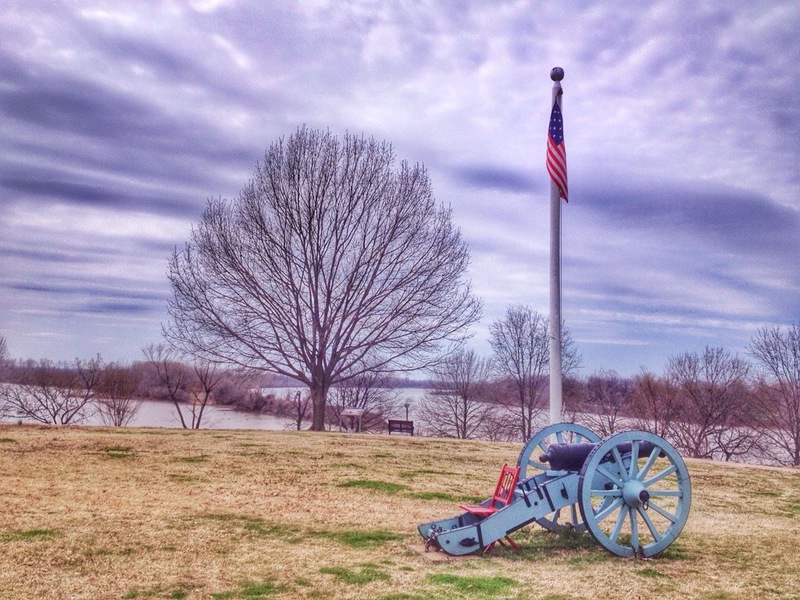 Nate, Karen, Sally and I toured Fort Smith National Historic Site in Fort Smith, Arkansas on a quiet Monday morning. 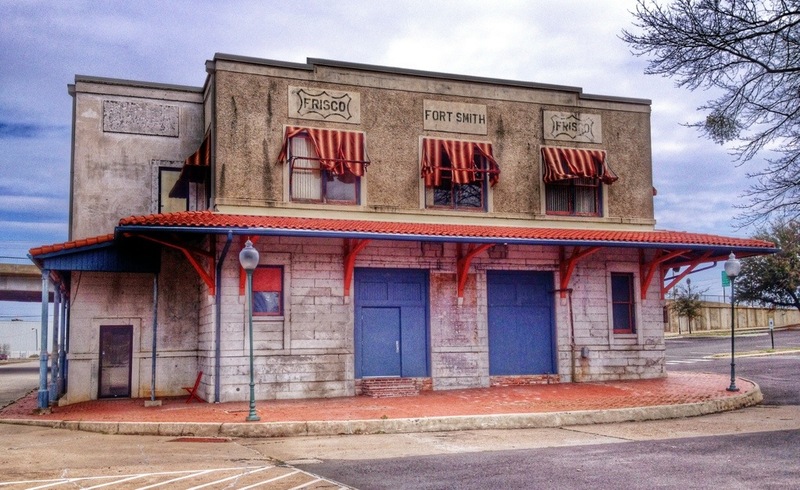 The second fort’s main role in history was as a supply depot for forts further west. 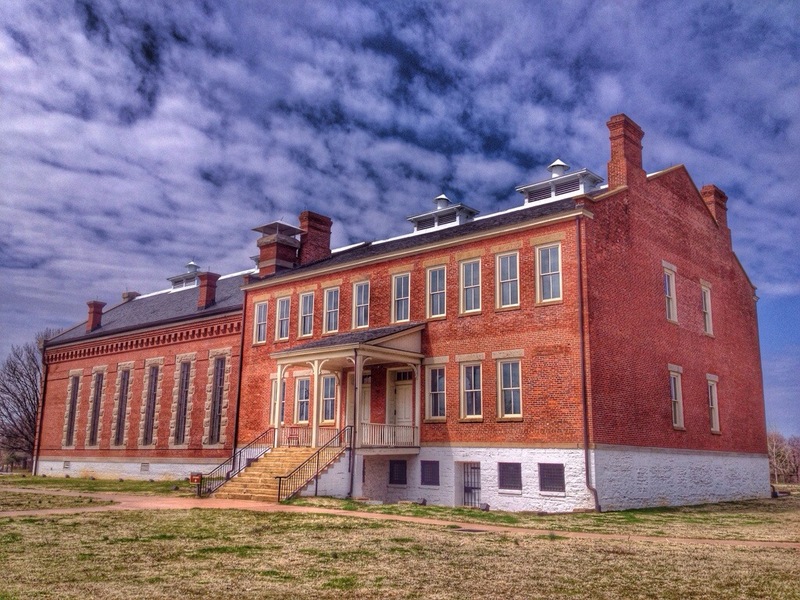 The barracks building later became a federal district court building and jail. Judge Isaac C. Parker presided over more than 13,000 cases. Among the 79 criminals who were hanged on the gallows was one named Robert Massey. Another was named Jack Womankiller. I’m guessing He didn’t stand much of a chance. 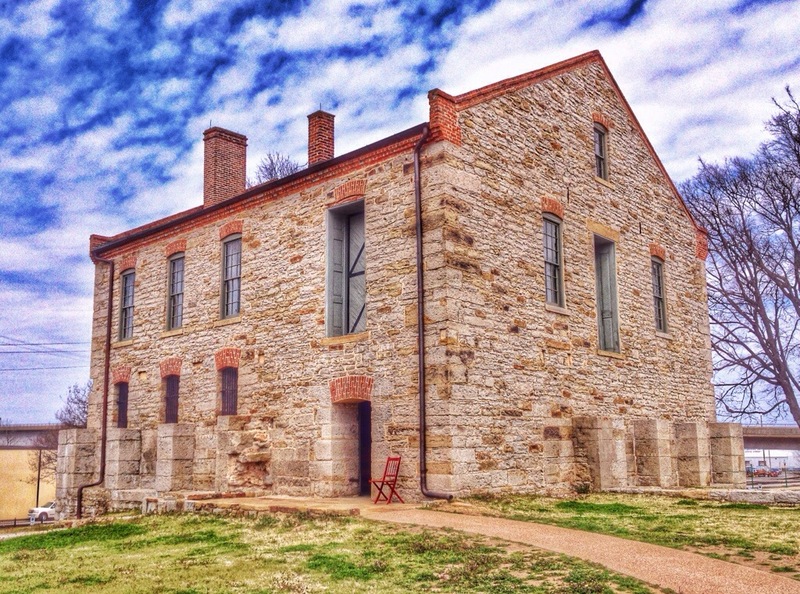 The Commissary, built in 1846. 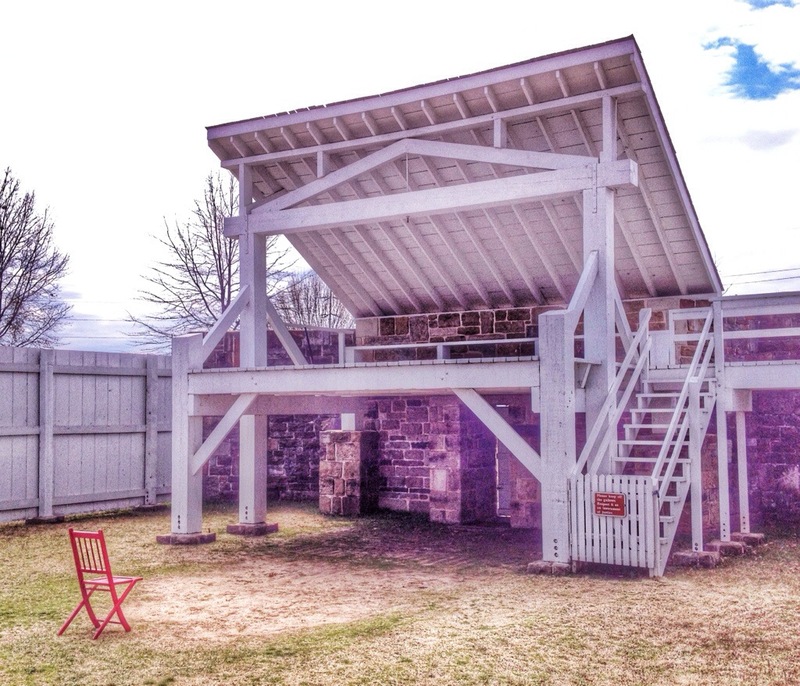 The original fort was built on the shore where the Poteau River empties into the Arkansas River. It’s purpose was to keep peace between warring Indian tribes. It lasted from 1817 to 1824. There’s nothing left except a bit of stone foundation. The cannon in the center of the fort now has a trace of red paint on it. I have no idea how that happened. 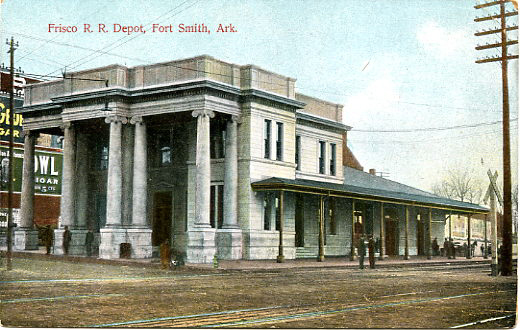 The Frisco Railroad Station was built next to Fort Smith in 1904. 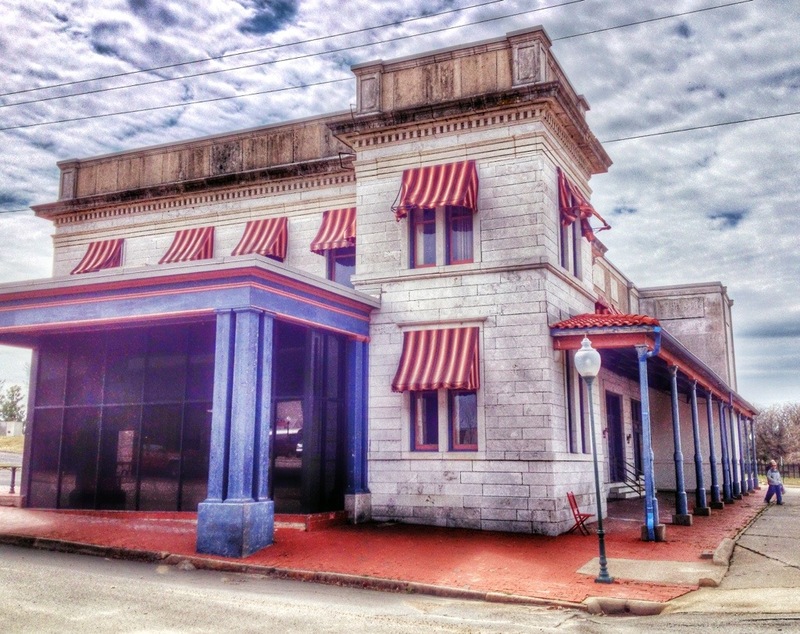 It was used off and on as a station, restaurant and museum. It was recently acquired by the National Park Service. It wasn’t open when I visited. Here’s what it looked like in its glory days. 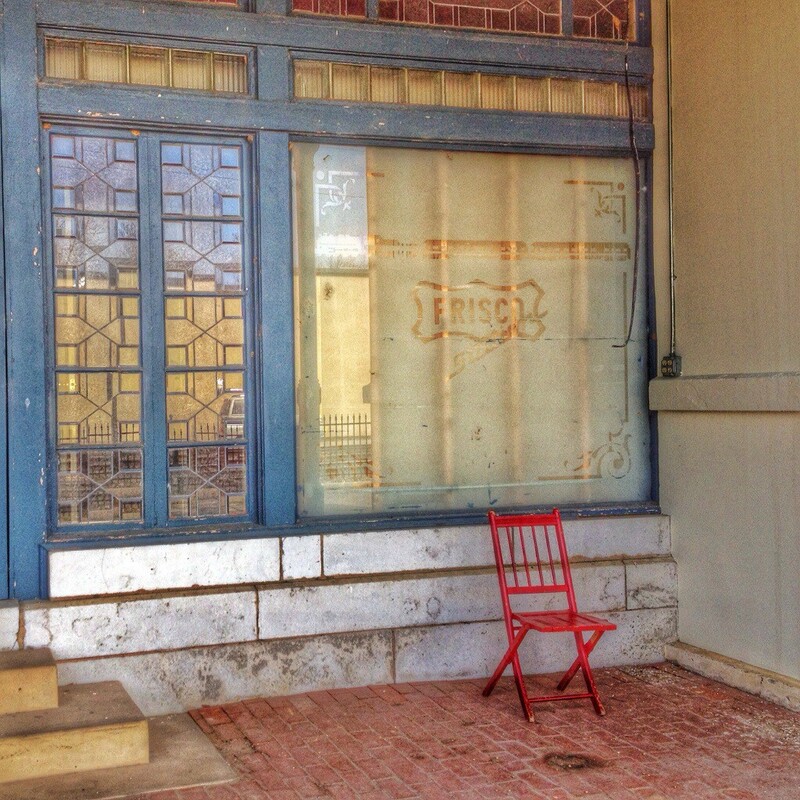 This entry was posted in Forts, Historic Buildings, National Parks, Red Chair. Bookmark the permalink.